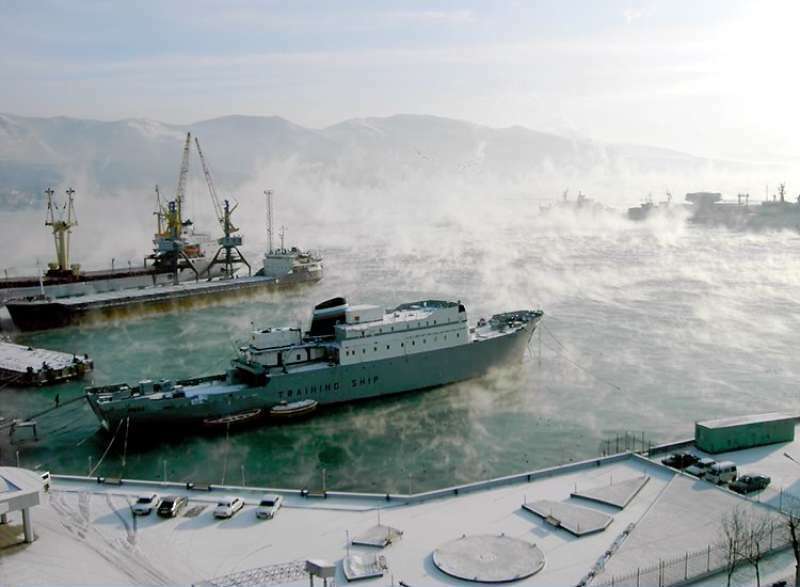 VERY COLD WEATHER AT NOVOROSSIYSK ON JANUARY 2006. Name of this training ship is "Ruza". It is ex fishing vessel. This photo has been shown 2,458 times since it was added to the site.